The Imhoff tank, a two-story tank, uses the upper chamber for settling and the lower chamber for sludge digestion. It can be followed by additional process steps to improve plant effluent quality. 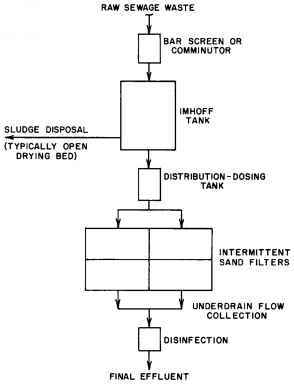 The Imhoff-tank-intermittent-sand-filter combination (see Figure 7.21.12) were popular for small municipalities prior to the wide use of the trickling filter and activated-sludge processes. 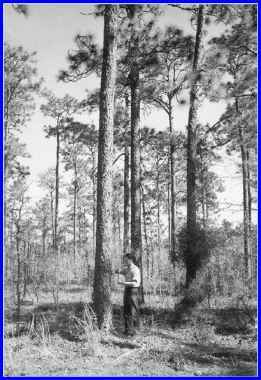 Some units serve homes and recreation areas.